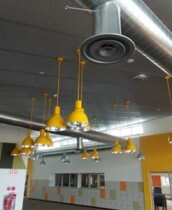 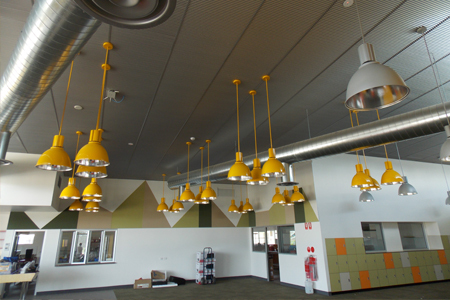 Masson For Light worked with our SA Distributors Deluxe Lighting to create custom made Arena Pendants for the Strathalbyn Primary School. 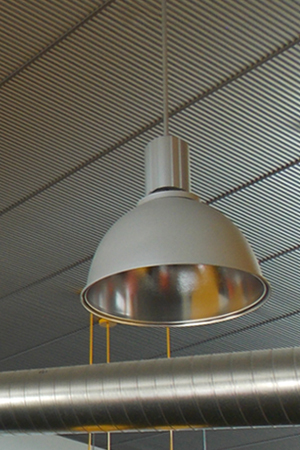 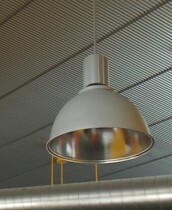 The pendants were supplied with 13mm drop rods at varying lengths for the raked ceiling. 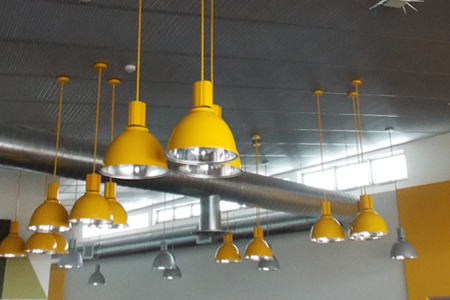 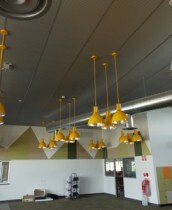 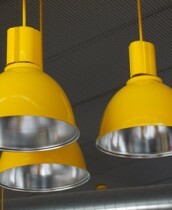 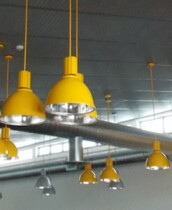 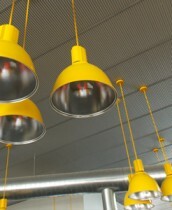 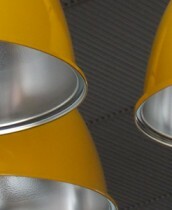 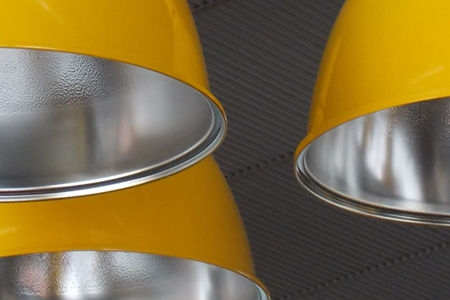 Pendants were supplied in two colours, some standard silver powdercoat and some bright yellow! 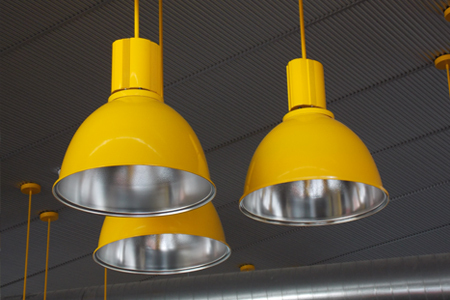 We think the custom yellow powdercoat really adds a playful feel to the space.